Do you have questions about our Enphase inverter accessories, or questions about solar in general? Give us a call at 1-800-472-1142. Enphase Energy, headquartered in Fremont, California, is a global leader in smart energy technology and the world's leading supplier of solar microinverters. Founded in 2006, Enphase designs and manufactures software-driven home energy solutions that span solar generation (Microinverters), home energy storage and web-based monitoring and control. The Enphase Home Energy Solution lets you generate, store, and manage your home’s energy so that you can save money, become more energy independent, and reduce your energy footprint. 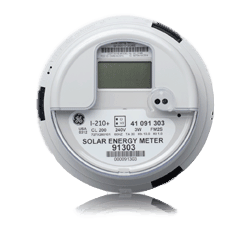 Enphase delivers smart, easy-to-use technology that connects energy generation, storage and management on one intelligent platform. Enphase Energy is committed to quality, reliability, and environmental responsibility, and is ISO 9001:2008 and ISO 14001:2009 certified. Their commitment is expressed in every design they test, every component they select, every product they manufacture, and every system they monitor. The result is that their system reflects the industry's most rigorous standards, only coming to market after one million hours of power-on testing. Enphase provides safe, reliable technology and offers you the flexibility to handle whatever the future might bring — from home expansions to smart home and smart grid integration. Shading on one panel won't affect the output of any other panels, resulting in greater output. Expanding the system is easy by simply adding another panel and another Enphase micro-inverter to the array. Quickly identify trends in efficient energy usage as well as areas for improvement. What do you prefer – a personal tutor for your child or a classroom full of students and one teacher? Enphase is like a personal tutor for each of your solar panels. Each Enphase microinverter gets the best out of each panel and ensures that your overall system performs to its maximum capability. This means, that over time an Enphase system will always outperform a string/conventional solar system. And this translates into real savings. Enphase microinverters are used in over 100 countries — from all across the United States to India, Australia, and even Antarctica. This means that they operate in very cold but also very hot and humid climates without fail, thanks to very rigorous 1,000,000 power-on hours of testing before any new generation of microinverters gets released. Every part of the Enphase Home Energy Solution is designed to have minimal impact on your home. Wiring and equipment are out of sight, and our low voltage design boosts safety. Once installed, you can view how your system is doing from your mobile device or tablet through Enphase MyEnlighten and make decisions about how to use your electricity more efficiently. Get the MyEnlighten app at the App Store or Google Play Store.